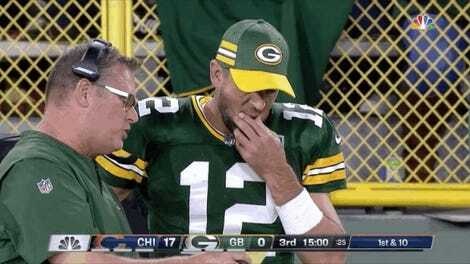 Aaron Rodgers is officially active for the Packers’ game against the Vikings today, after a week of uncertainty due to a mysterious knee injury suffered in the second quarter of the season opener against the Bears. Rodgers came back from that knock in the second half and looked amazing in a comeback win, but that performance didn’t immediately clear him to play in Week 2. Returning from an injury mid-game can be a different beast than coming back after the damage has had time to sink in, and the quarterback didn’t practice all week until Saturday. There’s a real possibility that these quotes could just be gamesmanship from someone in the Packers’ camp, but still, they’re a little bit disconcerting. 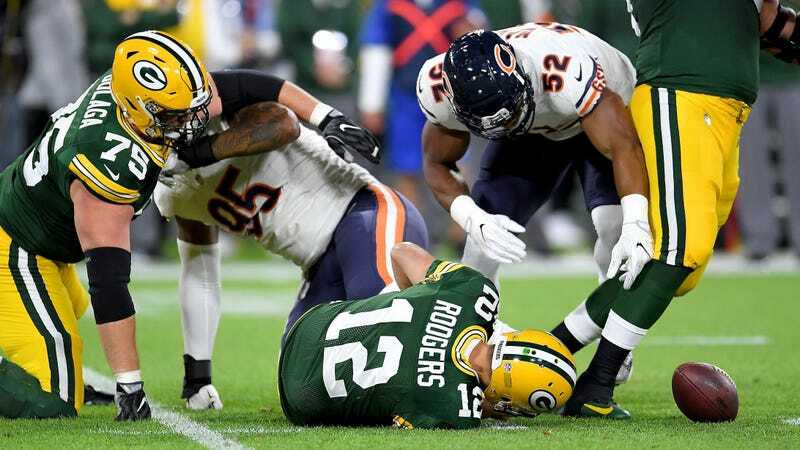 Rodgers has put himself through plenty of damage throughout his career, and in the follow-up season to a year pretty much ruined by a broken collarbone last October, knowing that he’s already fragile after just one game this season isn’t a pleasant thought, at least for anyone who loves watching Rodgers pilot the offense in the fourth quarter of a close game. If there’s no ligament damage, a two-month recovery timeline, and limited risk that playing could make the injury worse, Mike Florio reasons that Rodgers has some kind of bone bruise or minor fracture—which is not what anybody wants but, well, it’s better than a broken collarbone. If Rodgers gets wrecked again, however, DeShone Kizer has the crazy difficult task of filling his shoes. So it’s not like the Packers had much choice if they wanted to win today.